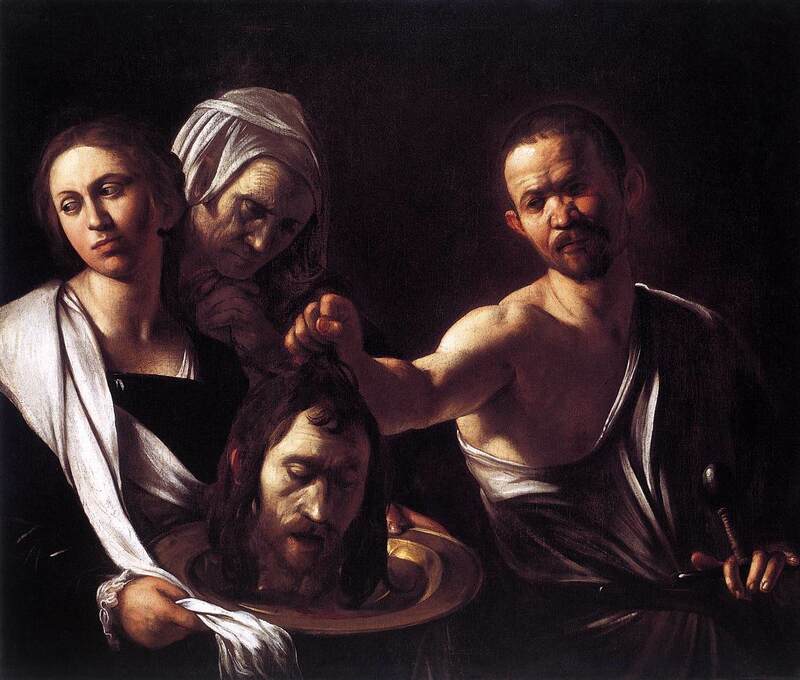 There is an enduring fascination of John the Baptist’s life and his gory fate. Like his protégé Jesus, John fearlessly and fatally courted controversy. The story of his imprisonment and death is told in the Gospels of Matthew, Mark, and Luke. Living in the wilderness, clothed in camel skins while dining on wild honey and locusts, John seems to emerge out of nowhere, warning Israel of coming judgment and performing baptisms in the Jordan River for the forgiveness of sins. Jesus himself, according to all four Gospels, was among those who appeared among the penitents seeking baptism at John’s hands. Sin and the general need for conversion were evidently John’s principal themes. By sin, however, John was not so much concerned with ritual purity or the observance of the law. The whole people stood under judgment and all were summoned to conversion. But John seems to have directed special scorn on those members of the privileged social and religious classes whom he called “a brood of vipers.” His call to conversion had a distinctly social dimension: “He who has two coats, let him share with him who has none; and he who has food, let him do likewise.” Baptism was not enough. It was necessary to “bear fruit that befits repentance,” beginning with the practice of justice and mercy. It is John the Baptist who has pointed the way to Christ. John’s life and death were a giving over of self for God and other people. His simple style of life was one of complete detachment from earthly possessions. His heart was centered on God and the call that he heard from the Spirit of God speaking to his heart. Confident of God’s grace, he had the courage to speak words of condemnation or repentance, of salvation. COMMENT: Each of us has a calling to which we must listen. No one will ever repeat the mission of John, and yet all of us are called to that very mission. It is the role of the Christian to witness to Jesus. Whatever our position in this world, we are called to be disciples of Christ. By our words and deeds others should realize that we live in the joy of knowing that Jesus is Lord. We do not have to depend upon our own limited resources, but can draw strength from the vastness of Christ’s saving grace. One immense source of His grace for strength is within receiving the Church Sacraments, where Christ’s grace flows abundantly.